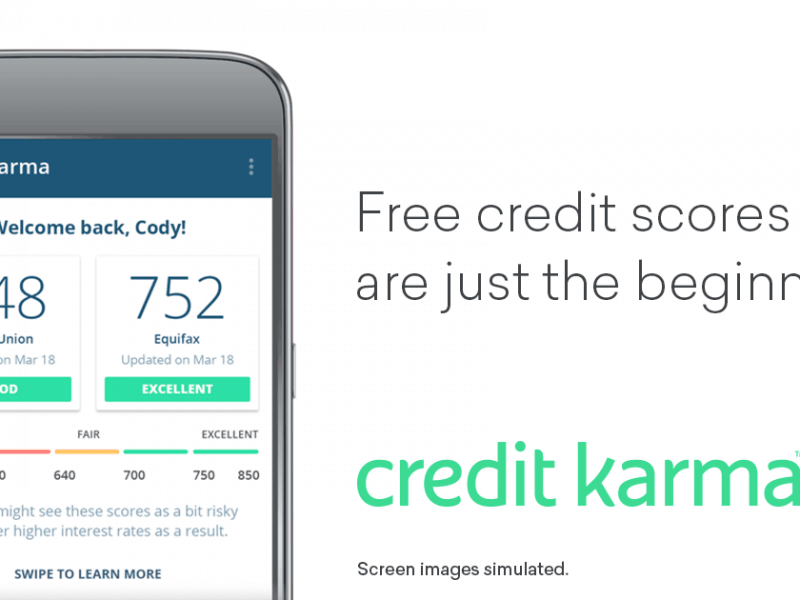 CreditKarma is one of 5 apps that can help you monitor your credit - for free! A key to keeping track of your money is being able to access and manage it whenever and from wherever you need to. The world of online banking has opened up to allow such opportunities to make changes and transactions on your account apart from needing to go a brick and mortar bank. Especially when it comes to your credit score and status, knowing where you’re at can help you plan your money moves accordingly. But with busy schedules, it can be easy to forget about your credit score until you need it. With the help of convenient online tools, you can manage and track your credit right from your smartphone or tablet. These apps make it easy to monitor your credit so you always know where you stand. Here, we share five free apps you can download today to help you monitor your credit to support your financial health. Mint is a multi-feature money management app that also includes opportunities for you to check and monitor your credit. You can choose between a paid subscription of $16.99/mo and a free version. With the free version, you’ll get access to your Equifax credit score provided every quarter and credit monitoring from one bureau. These reports are easy to understand and provide the information that you want to know. Mint also has several other helpful money management tools that can help you get and stay on the right track. They also have services like debt management tools and other insightful resources. Check your scores for free with this free app. Keep tabs on your profile by knowing your numbers when you need them. You’ll get an easy to understand report that outlines your credit health and potential areas where you can improve. You’ll get the information you need as well as get a better understanding of how your credit score works and the factors involved. With Credit Karma, you’ll get access to alerts when there’s an important change on your report. You’ll also get personalized recommendations based on your current unique situation as you advance your credit. You’ll also be able to check your credit score as often as you’d like with no affect to your scores. Monitor your account with confidence and security with bit encryption in transmitting your private information to their site. Your information also won’t be shared with third parties for marketing purposes. If you’re looking for a way to keep track of your credit score from anywhere at anytime, Credit Karma may be your mobile solution. Experian is one of the three major credit bureaus with credit reports banks, lenders and other companies use to determine your eligibility to pay back your loans. So when monitoring your numbers, why not go right to the source? You can get access to your Experian credit report every 30 days with this convenient mobile app. You’ll get notified of any major changes with your Experian credit report so you know how to plan best. Staying on track helps you detect potential fraud and make sure your numbers are where you want them to be. If you’re looking for additional features, Experian also offers a subscription service that provides even more ways for you to keep track of your credit score numbers and history. With its intuitive interface, Credit Sesame allows you to keep track of your important credit information right from your phone. A credit card isn’t required and checking won’t affect your score. In addition to receiving your free credit score, you’ll also get other helpful tools like a free credit report card and options fo credit monitoring. As you’re looking to improve your credit, you can access their resources to help you better understand what factors go into determining your credit score and what steps you can take to improve. The safety features woven into the app also make checking your account safe and easy with ID protection services. Even if you’re not a cardmember, you can use this tool from Capital One for free as you monitor your credit. Get access to your TransUnion credit report and learn of important factors that affect your score. Keep track of your financial health with this free resource so when you go to a lender, you’re confident in your approval. Their helpful calculator tool also helps you see the impact of certain financial decisions, so you can know the implications before you act. Keep your account secure with its protection services so you can monitor with confidence. Knowing your credit score is important for your financial and credit health. With these free mobile apps, you can take your monitoring with you, wherever you go. Discover the app that works for you and get on your way to better credit health.